The Jordan Super.Fly 2017 is the second out of two sneakers featuring Nike’s much hyped REACT cushioning. The first one was the Nike REACT Hyperdunk 2017 which I recently did a performance review on them and I highly recommend you checking that out first, before hopping into this review to get some knowledge about REACT cushion & how it performs comparing with other setups. 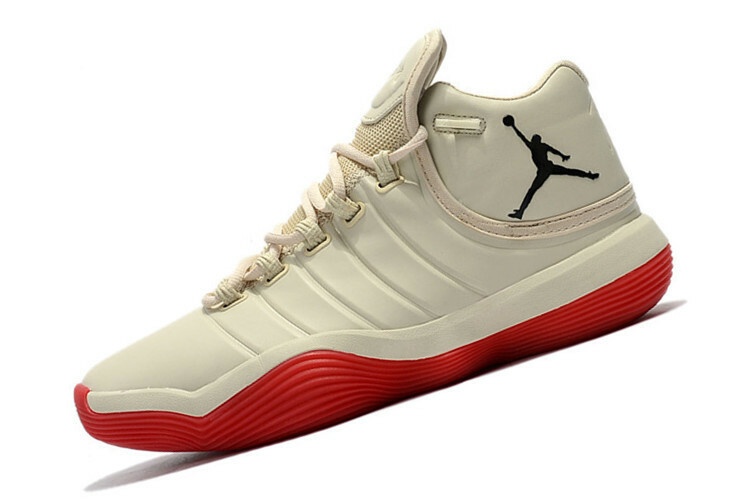 Now, the Jordan’s Super.Fly line has pretty great & successful history behind it, so I’m really expecting this model to make some noise in the sneaker world. And it seems like they have every single reason to do that. The Super.Fly 2017 features Nubuck & smth combo all around the upper. It’s old school, it’s premium looking and most importantly, it performs super great. This is the case, when you ain’t searching for that Primeknit or Flyknit softness, because nubuck provides your foot with its own take on “comfort” and I do like it a lot. This setup is way more durable than any other knitted or textile material, so expect keeping them for a few seasons or so. Also, I love that gold spot between having plenty of comfort while keeping support on a high level as well. So does REACT technology was forth the hype? The answer would be NO. However, it’s just my personally opinion as I’m pretty sure that there will be a lot of people who will enjoy this setup quite a bit. It just too stiff for me. Now what’s interesting, comparing with the Hyperdunk 2017’s setup, this one felt a tad bit softer. There weren’t any major differences between both of them, but if you prefer bouncy cushion like me, then the Super.Fly is probably a better option out of these two. Although, I wouldn’t be choosing any of these two options if plushy cushion is your #1 priority and there’s no way you will be able to give up some bounce to receive a pretty much perfect shoe in any other department. 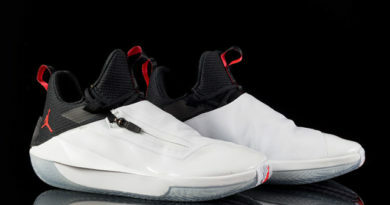 So as I mentioned, the midsole does feel a little bit softer but other than that, this tooling is pretty much identical to the Hyperdunk 17’s setup – outstand responsiveness, A1 court feel & decent impact protection for our big dudes out there. This is by far the best and most beastly aspect of the shoe. The pressure mapped multidirectional traction patter & perfect rubber compound creates something special, seriously. Yes, the Crazy Explosive 17’ and Hyperdunk 17’, both have phenomenal tractions that really impressed me. But now… We’re talking about one of the best tractions of all time. We’re talking about Kobe 9, Air Jordan XX8 level traction. It’s that freaking great. Outdoors, indoors, dirty courts, clean courts, it doesn’t matter. Dust issues? What? You can forget about it, I’m not joking. 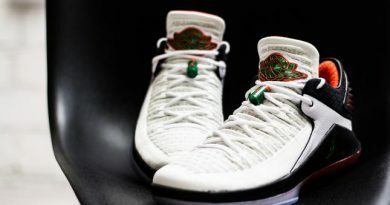 The rounded outsole does remind me of the Kyrie 3 and that’s a good thing since it gives you that freedom & natural flow which is important for those players whose playing style heavily relies on movements. So with this pattern you will be covered in any type of situation – outstanding move coverage which lets you to do whatever you want on court without any slippage issues, killer stopping power to shake your opponent with crazy step back cheese. A Bit thicker & more supportive Nubuck material does require a very short break-in time, but after that the upper comes to life and gives you that soft, premium fit. Flight web technology is like heavier version of Nike’s Flywire tech which ensures very solid midfoot lockdown and containment, as well as, protecting your foot from rolling over the foot bed. 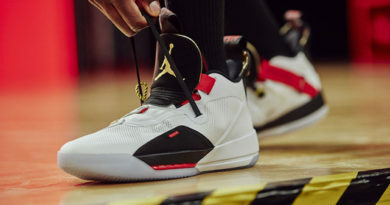 On top of that, Jordan brand’s fame heavy heel padding inside of the shoe is one out a few reasons why I love this brand since there isn’t any other brand which could offer a better heel comfort. They’re the best at this. Now, there’s a Mesh option which does bring more modern flavor to this model, as well as, different performance. The mesh upper would be a better option for those who prefer a bit lighter construction, improved breathability and that straight out of box perfect fit. However, durability & support is the main two departments where the Nubuck upper is an indisputable winner. Talking about sizing, for everybody out there I recommend going true to size. I will be quick with this one since there’s not much to talk about. I mean, the overall support of the shoe was super nice. I didn’t receive any heel or forefoot slippage issues, thanks to Flight Web the midfoot was locked in no matter what and also, a pretty wide base did a great job by keeping me stable on both sides of the court. So as you can see, they simply don’t have any issues or drawbacks to cover. Let’s go to the final conclusion. 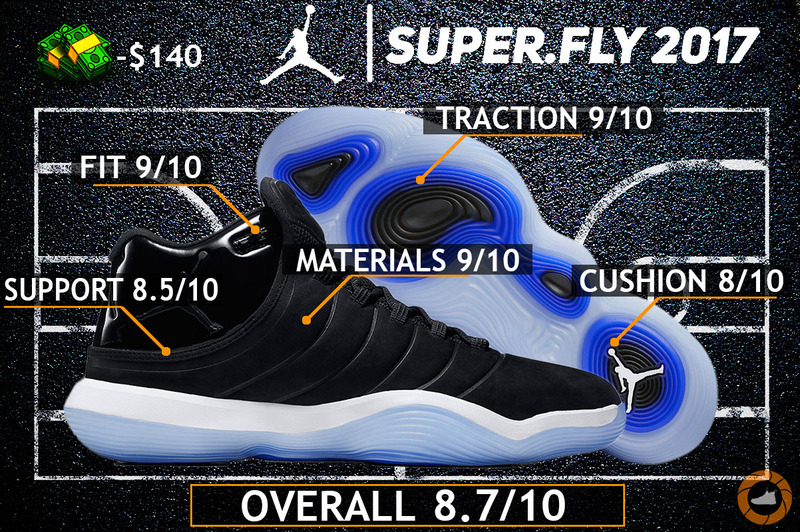 Hope you enjoyed my Performance Review on the JORDAN SUPER FLY 2017. Will you be picking them up? Let me know! ← NIKE REACT HYPERDUNK 2017 REVIEW – A Bit Overpriced? thanks for the writeup. i recently picked up a pair for $28, too cheap to pass, and will share my thoughts briefly. like you, i needed more cushion. i’d rate these more like a 6 or 7 out of 10 in that area. impact protection was average, responsiveness above average, but actual cushion/bounce factor was practically zero. i don’t understand how the react tech can feel *so* different in a basketball setup. i mean hex zoom and boost felt different, but not *this* different. As far as these vis-a-vis the HD2017, these felt a little softer (but just a little) however I liked the control and responsiveness in the HD2017 a little more, I felt like I could use the edges of the shoe better when changing direction and stopping, whereas these had a little less flexibility. i agree that the traction is awesome, support is pretty good, too. the main thing i didn’t like much that you seemed to was the fit. to me the tongue and sidewalls were set up in a way that was odd, like they were trying to create the fit of a newer synthetic using more traditional materials. i thought it was a bit much. they were hard to put on and stiff throughout, i actually ended going up half a size which is very rare for me (i have done it with three other shoes in the past four years only, and i buy lots of shoes). overall i would probably phrase my bottom-line evaluation of these a little differently, rather than “close to perfection,” i’d say they had wasted potential. there were so many potentially great elements (traction, durable uppers, new/exciting cushioning tech) and yet the final product was somewhat disappointing. Damn… That’s below CHEAP man. Btw, thanks for a comprehensive mini review you put out there! 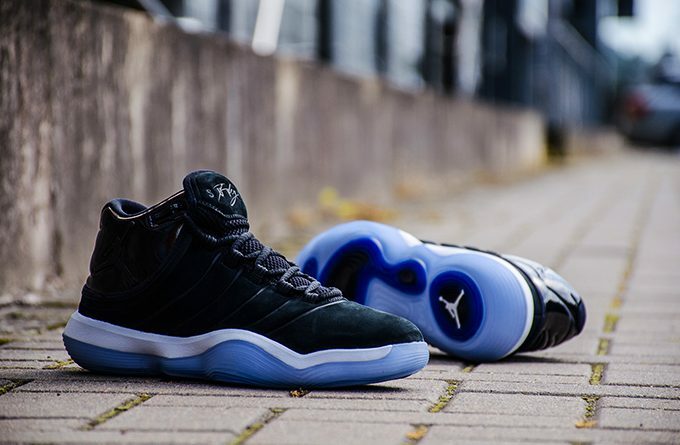 I appreciate your opinion and so do the people who are considering buying a pair of these J’s. 1. sil.lt I can see the biggest variety of colorways there.